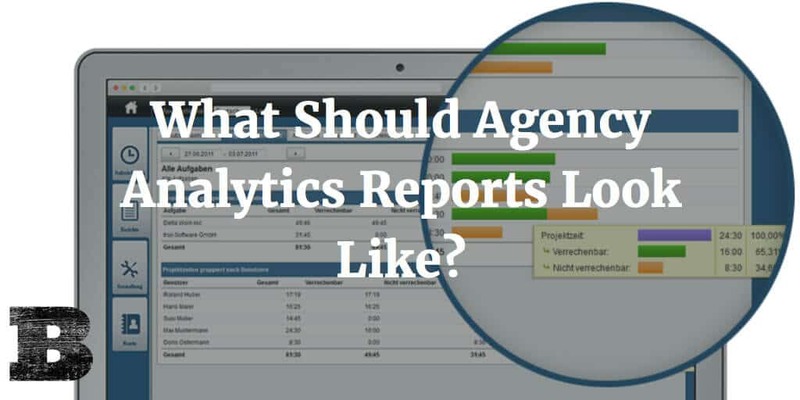 Home » Analytics » What Should Agency Analytics Reports Look Like? The key to the best reports is keeping it simple. While there are tons of metrics we can report on, only a very select few really tell us how our programs are performing and provide the insight needed to guide the next steps. Just because you CAN report on a metric doesn’t mean that you SHOULD. The more data you provide, the harder it makes it for clients to read and understand the insights your reporting on. Added data points also increase the likelihood your clients will misread the data. This frequently leads to concerned calls and requires more time for you to explain what the data is really saying. Avoid these issues by sticking to just key metrics. Take the time to sit down and identify the key metrics that show true performance. Many metrics are fairly meaningless and should be left out. For example, all the impressions in the world don’t mean a thing without clicks, so skip those two and go with CTR instead. Only metrics that art critical to showing success should be included. Keep it to as few as possible. If you’ve got more than 10, you need to reevaluate. Once you’ve identified the most important metrics, create a reporting template that can be used with all agency clients. This report is designed to save time but should also allow for adding additional metrics, should there be any unique requests or requirements from certain clients. Remember, the more metrics you include in your reporting the greater the chance of being distracted by unimportant numbers and the harder it will be to show your clients the results of your work. Keep it as simple as possible. Don’t be fooled into believing clients need to see piles of data in order to believe you’re working hard. They’ll appreciate specific reporting that is actionable, far more than a pile of numbers with no insight. Within many organizations, you may meet those that seem to live for reporting. They want every piece of data and often feel they can’t make any decisions with a single piece of the puzzle missing. They want their reports to contain everything which can be reported on, and often believe their superiors will only think they’re doing their job if they show piles of data on activities. These folks frequently struggle to make decisions because they’re so overwhelmed with data but unable to admit that they don’t understand what it’s all telling them. All the data in the world is completely useless unless we can gather insights from it and then act on them. Simply having the information and failing to act is no different than not reporting at all. Your job is to help these data junkies understand that data itself isn’t going to get the job done and their bosses will think far higher of them if they can show the positive results of their actions taken after examining the data, rather than just a pile of numbers showing what’s happening. By helping them to focus on action, rather than analytics, you and your clients will see far better success. Clients may not always know what’s best for them. Your job as their agency isn’t to simply give them what they want. It’s to guide them to what they really need to do the best job possible, even if they don’t know what it is at the start. Many agencies struggle with reporting. They believe agency analytics reports need to be customized to each client and waste tons of time reinventing the reporting wheel with each new client. Unless there’s a very special need for one-off reporting, you’ll be far better served to create a template instituted across all client accounts. Not only does this save tons of time and money, but it also makes it easier to compare performance across clients, and helps all employees understand the reporting too. Take the time to define the most important metrics, build easy to understand reporting templates, and coach clients on the power of simple and pointed reporting. It’ll pay off with greater ease of understanding reports, quicker and easier report generation, and greater ability to take action from your reporting insights. All of these will allow your agency to produce better results for your clients and make a better name for your agency.